Late Night at the Ryman with Watermark and Matt Redmon. My buddy Matt King is on the stage bang'en the drums. He's the drummer for Watermark. He's incredible and one of my heroes! Christy Nockels (Watermark) has a voice like very few I have ever heard and an incredible heart to go with it. 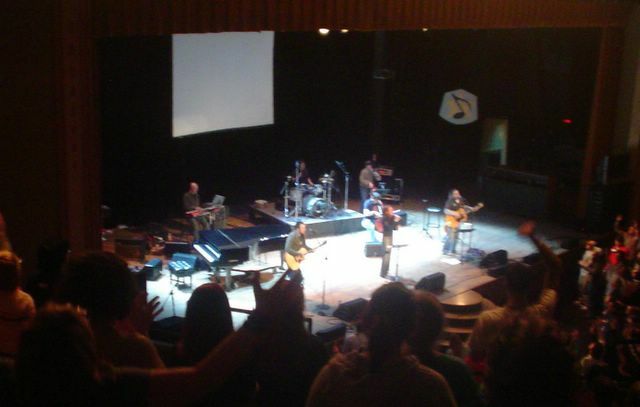 The whole auditorium truly worshipped. This evening was a blessing. I was on the arena team too! I don't think I met you. I'm so glad you posted all those pictures and descriptions. I will tell all my friends to check this out-because I can't describe what an amazing experience this was. I can't wait for Atlanta '07!